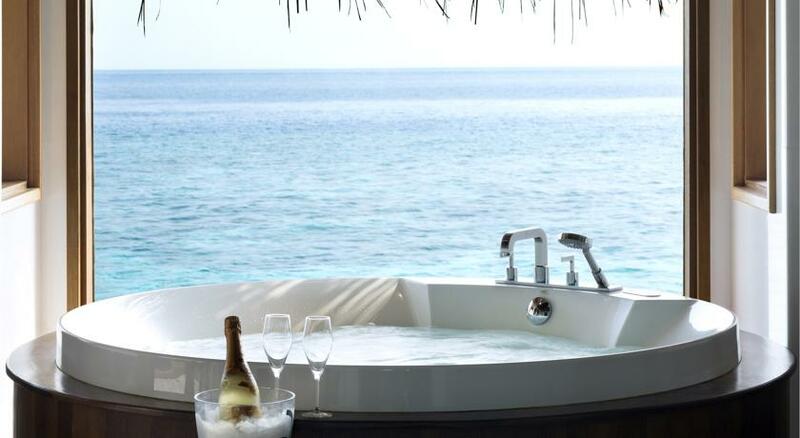 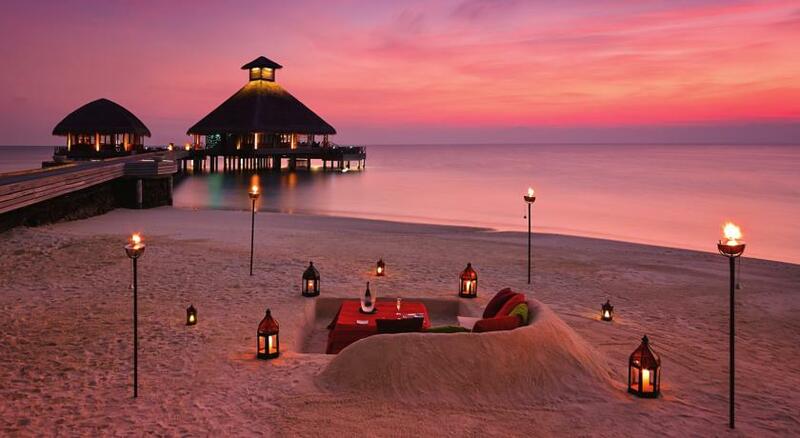 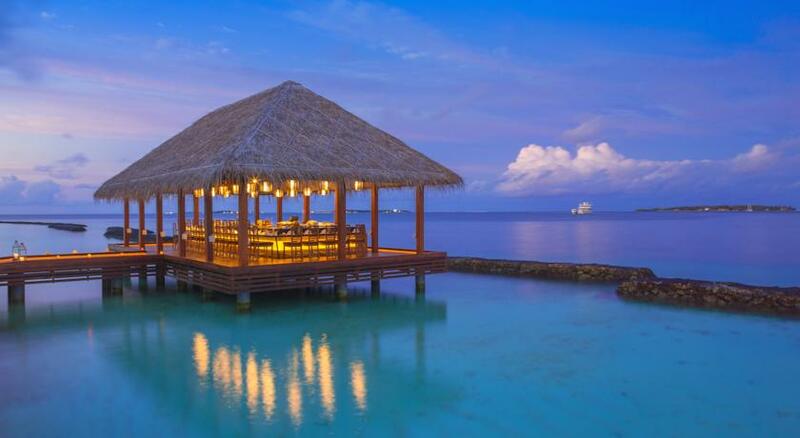 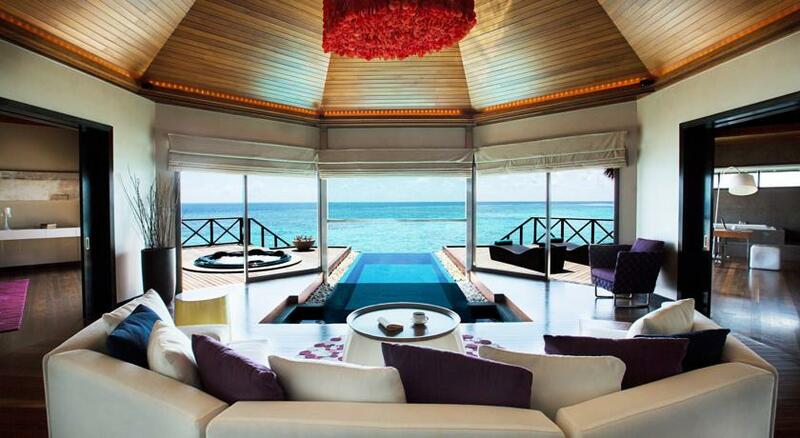 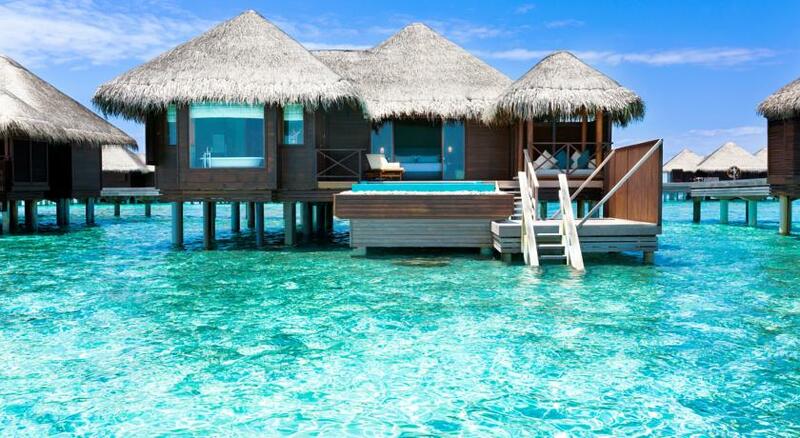 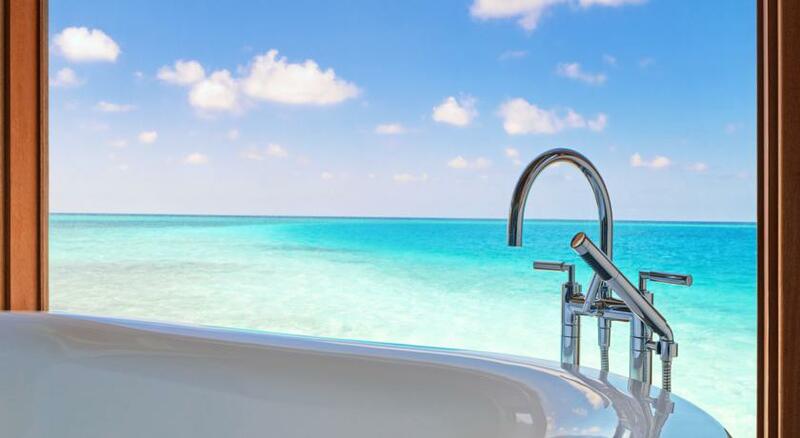 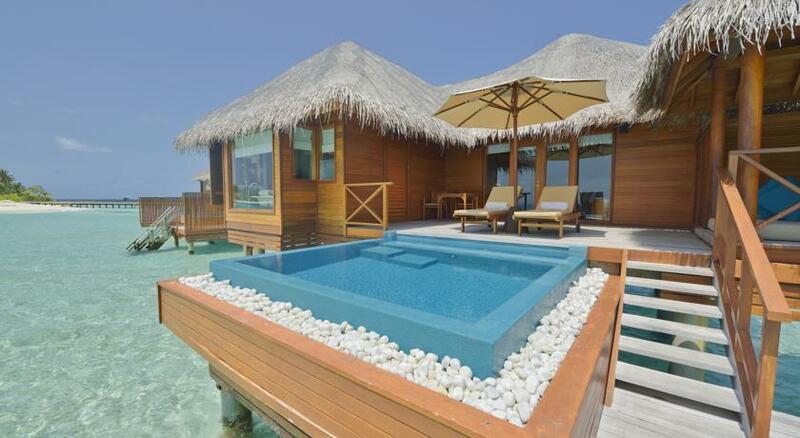 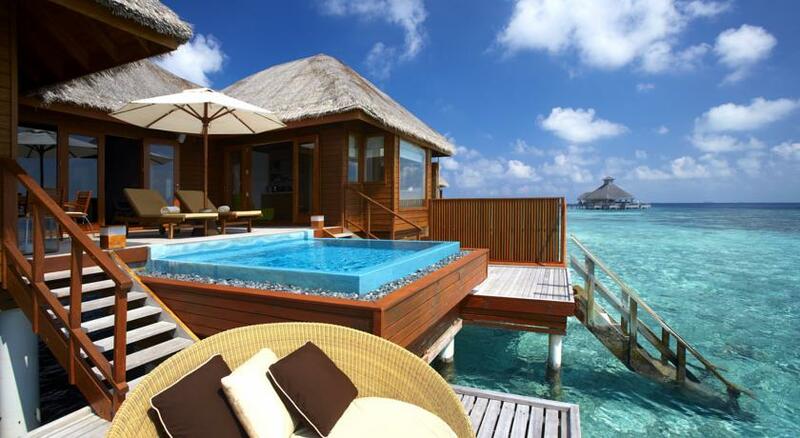 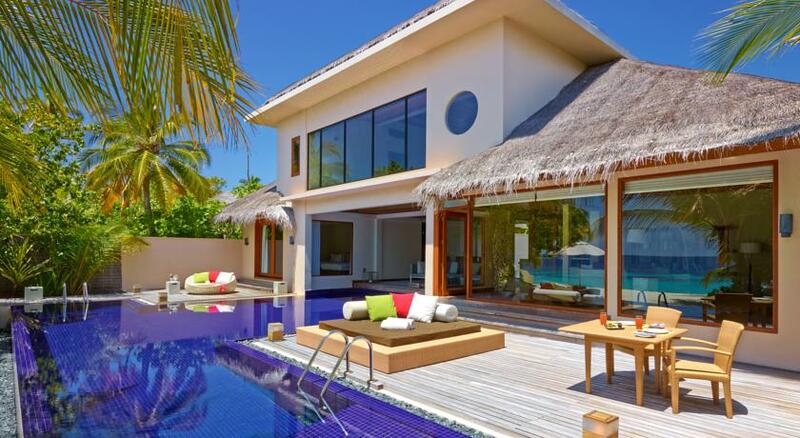 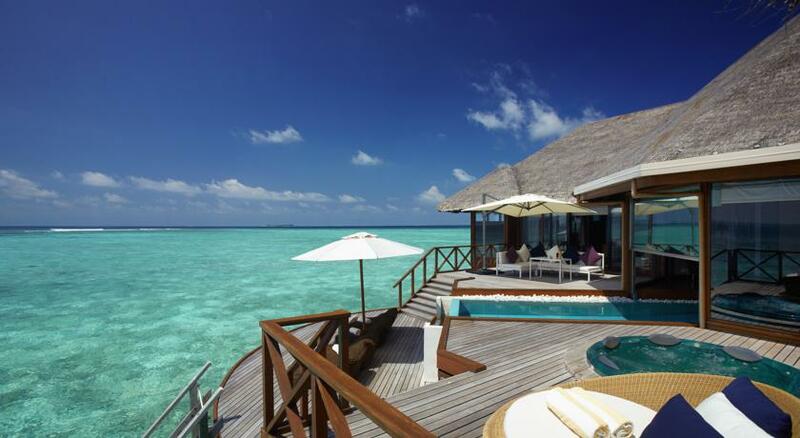 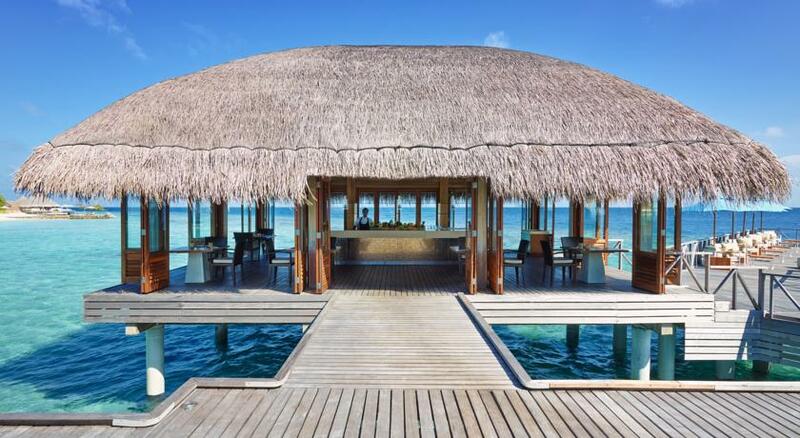 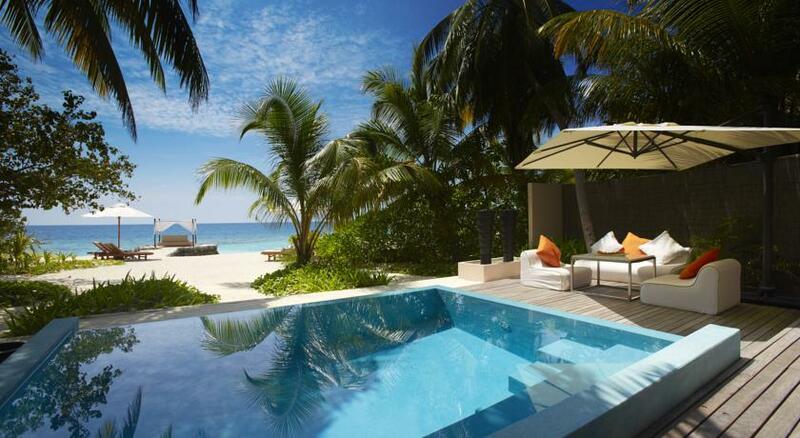 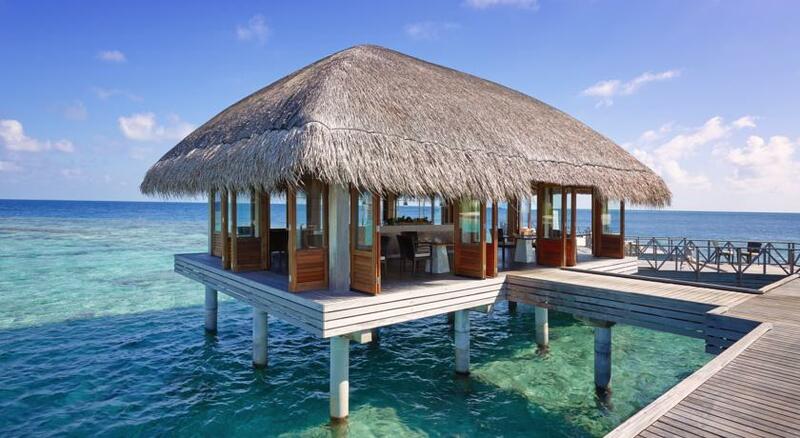 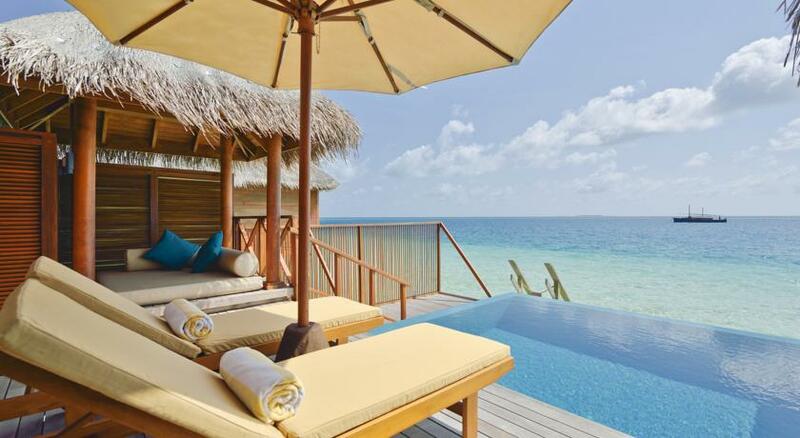 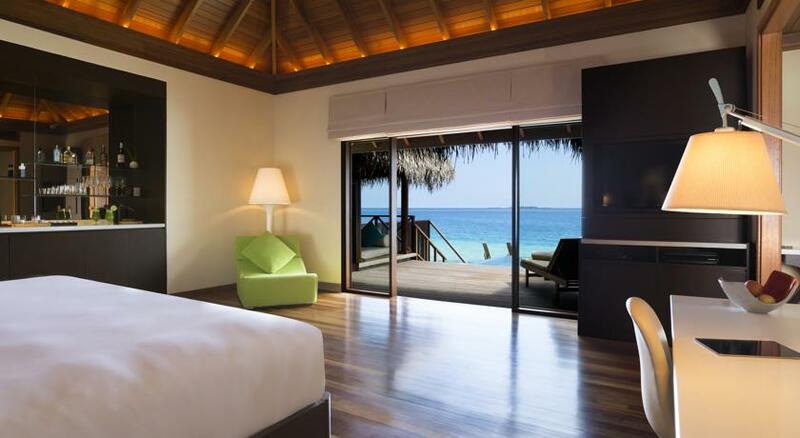 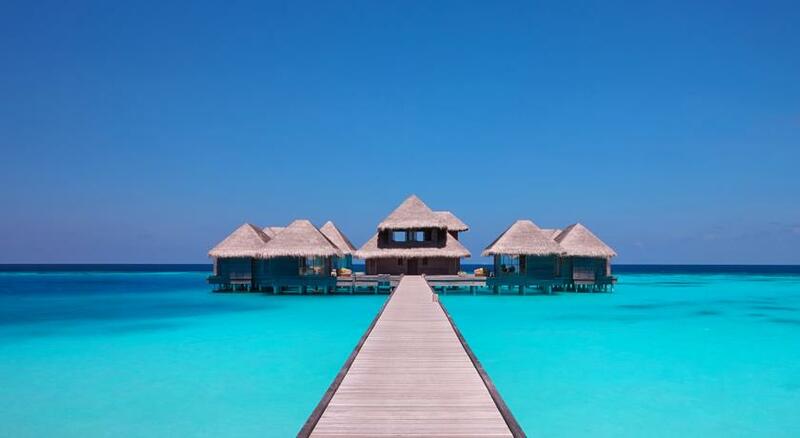 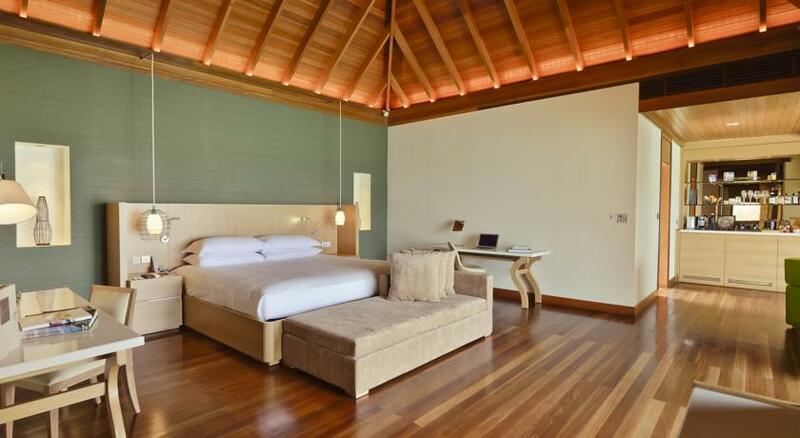 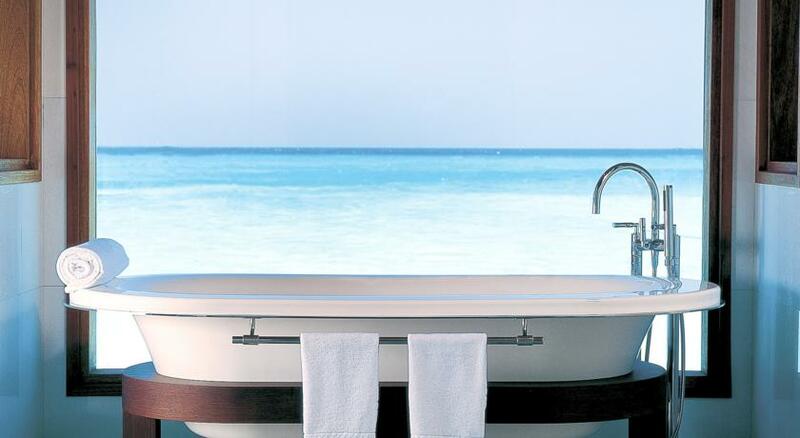 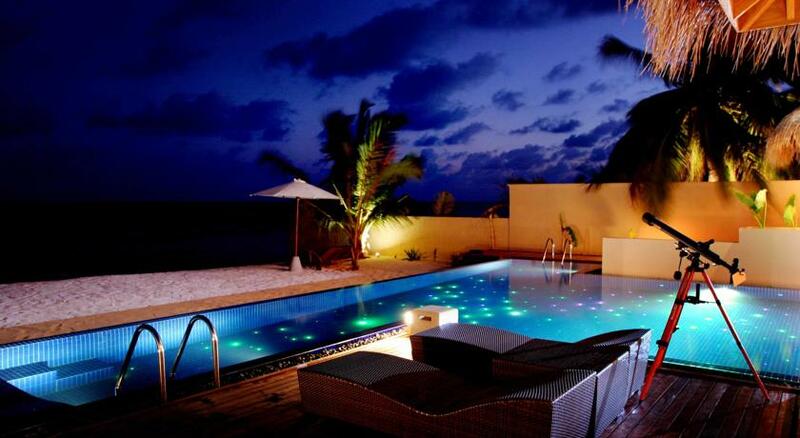 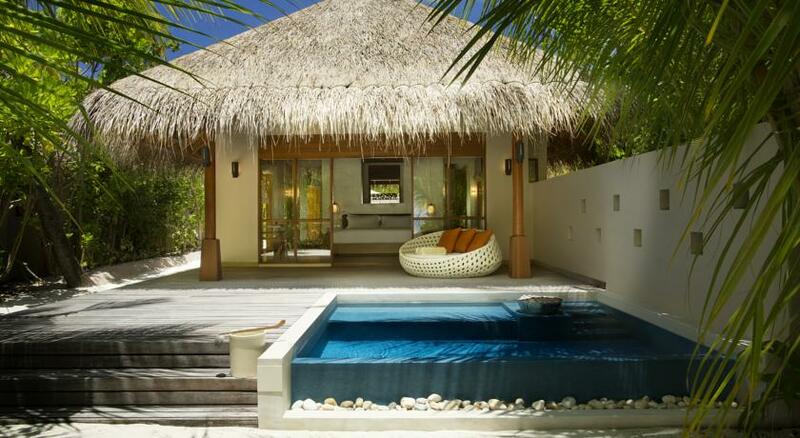 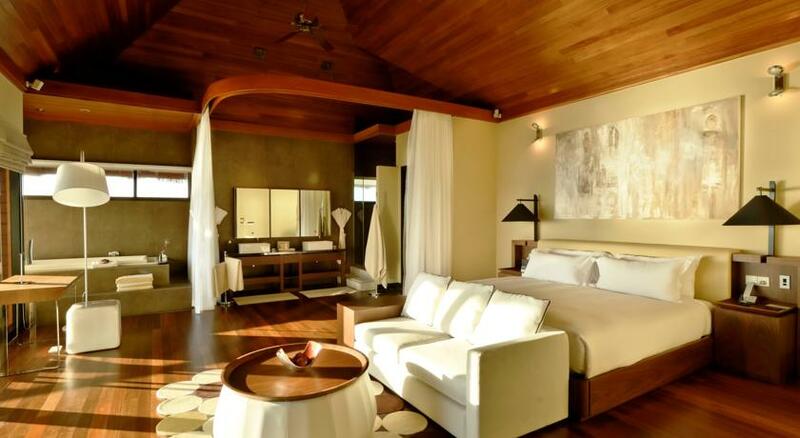 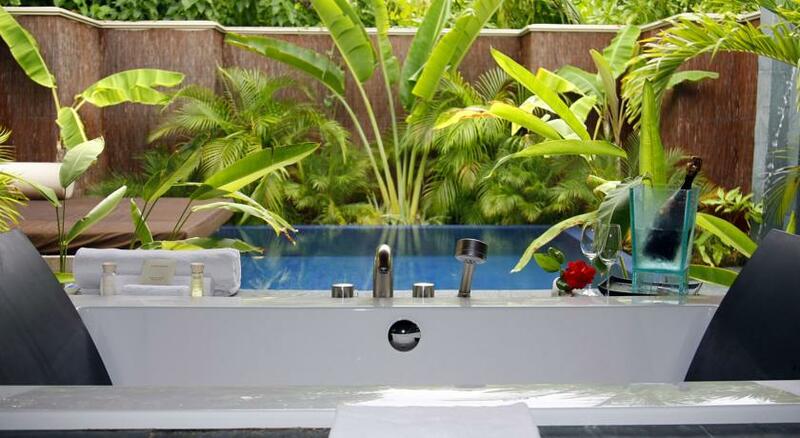 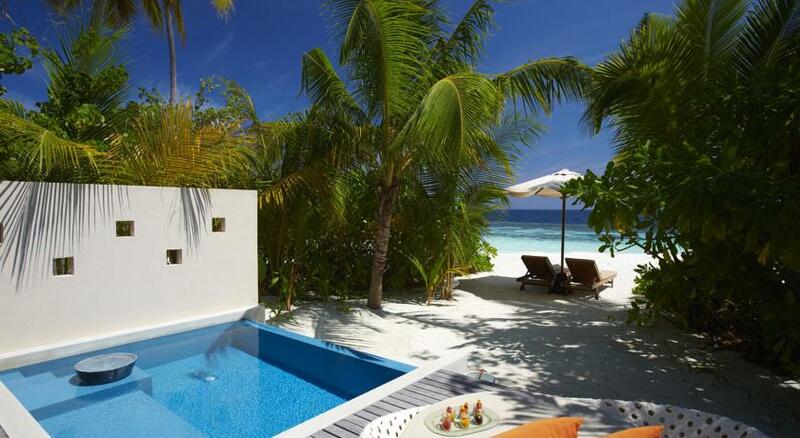 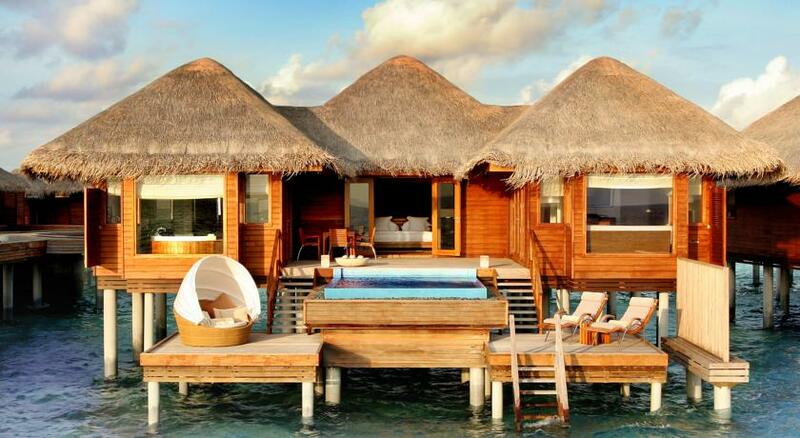 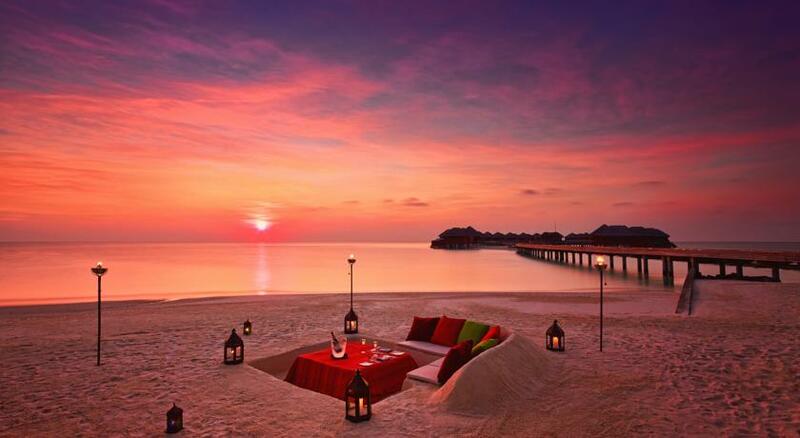 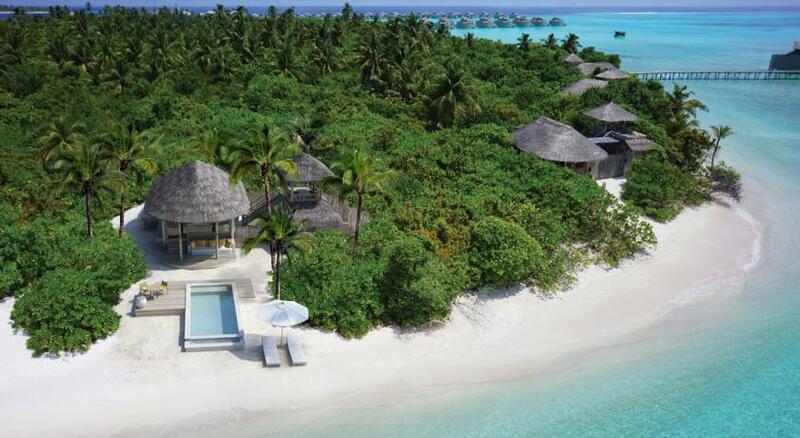 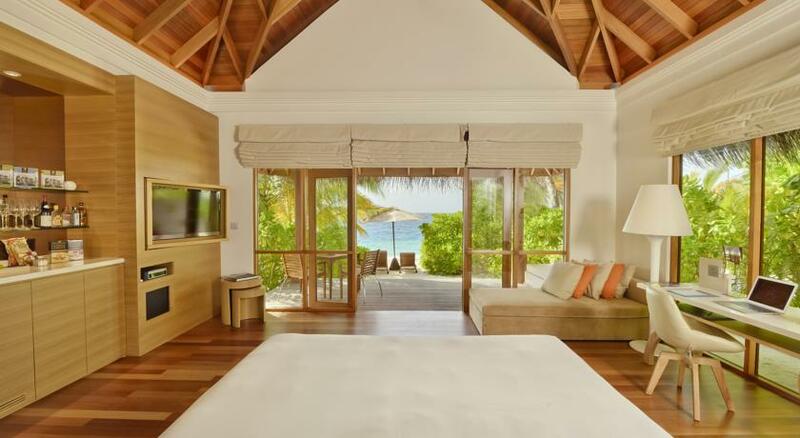 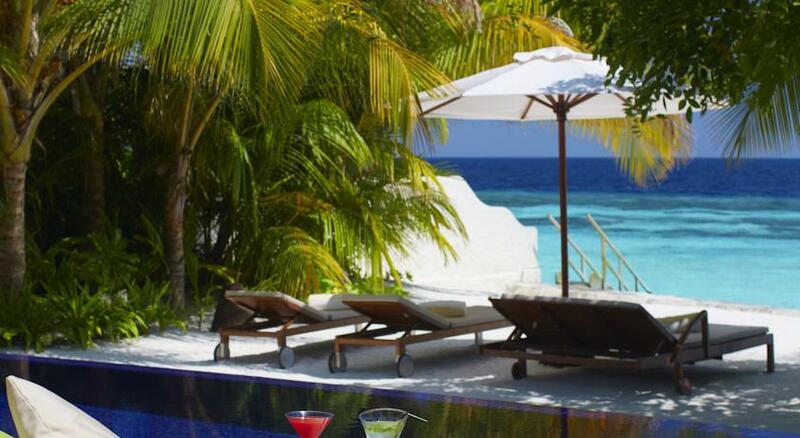 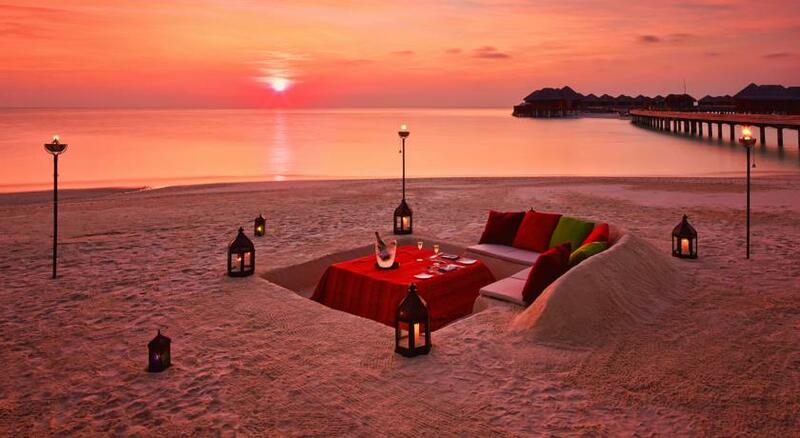 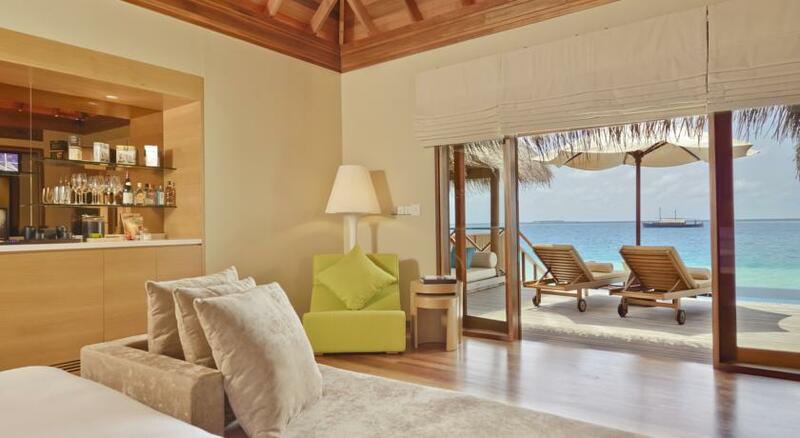 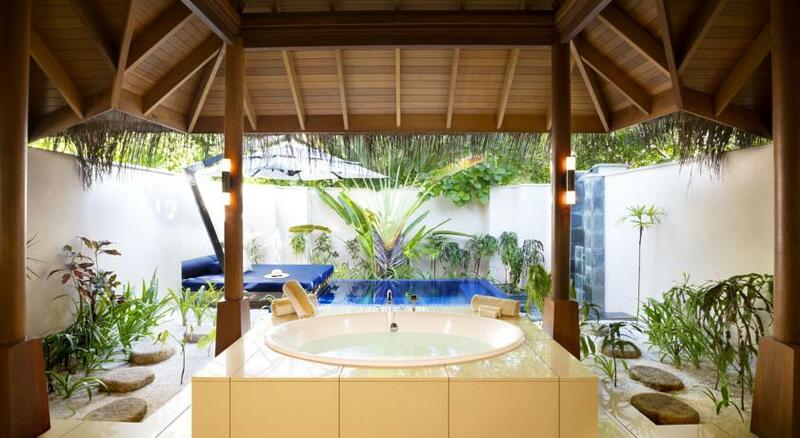 Huvafen Fushi is a luxurious resort located in the North Malé Atoll in the Maldives. 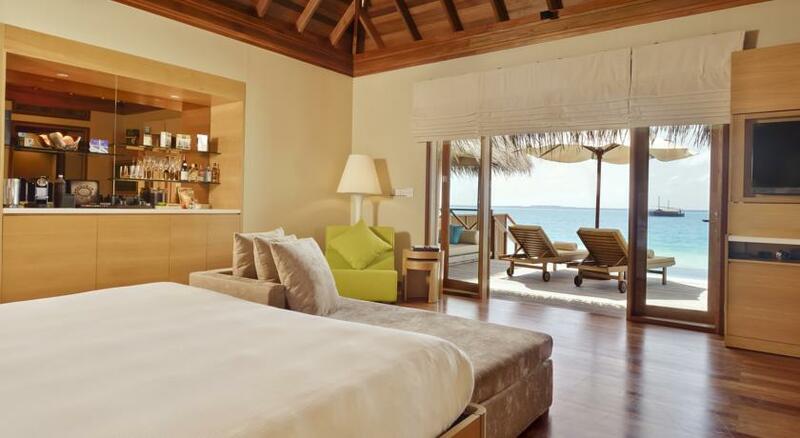 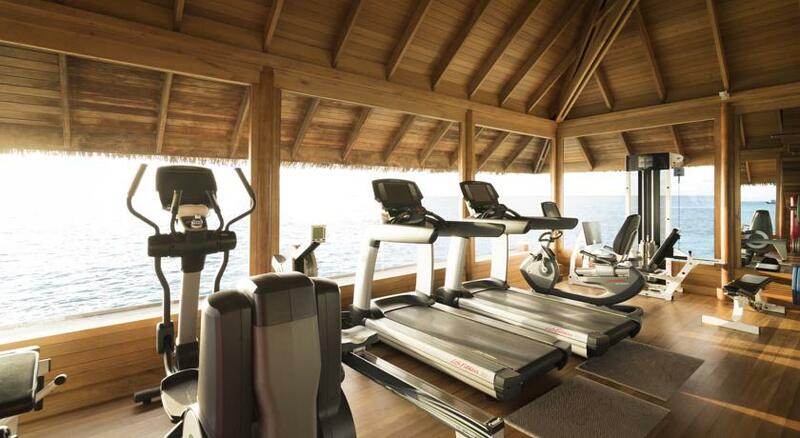 It features overwater and beach bungalows with private pools, free Wi-Fi and 6 dining outlets. 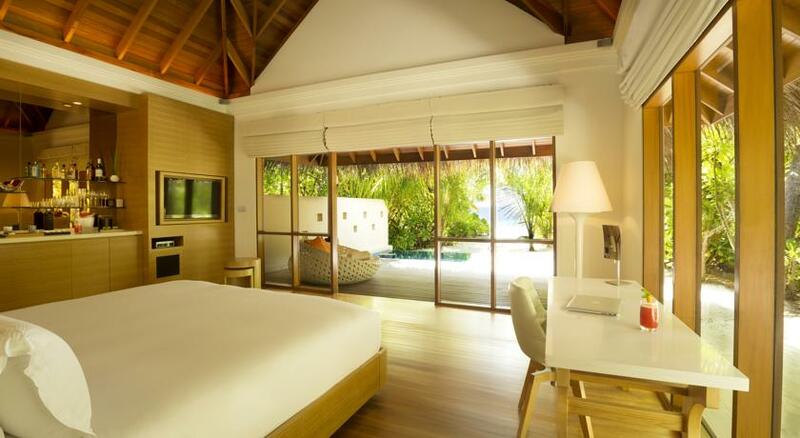 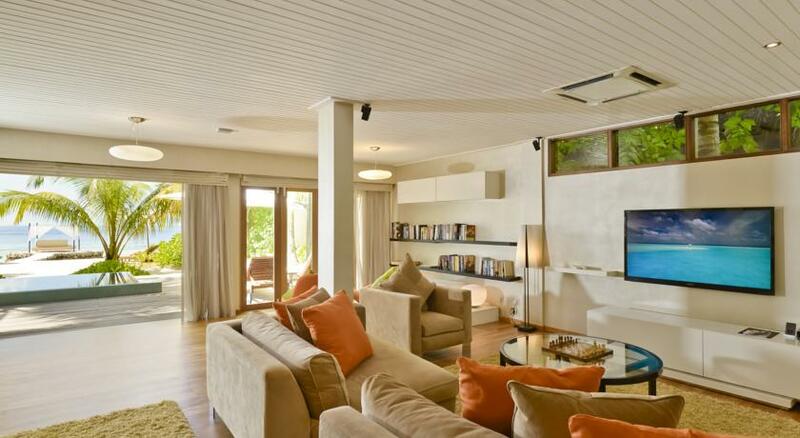 Each spacious bungalow comes with a sundeck, large flat-screen satellite TV, Bose sound system and DVD player. 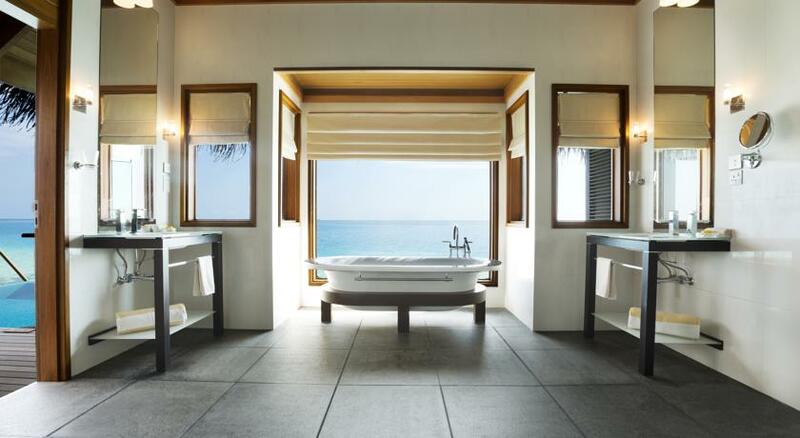 Attached bathrooms include a rain shower and separate bathtub. 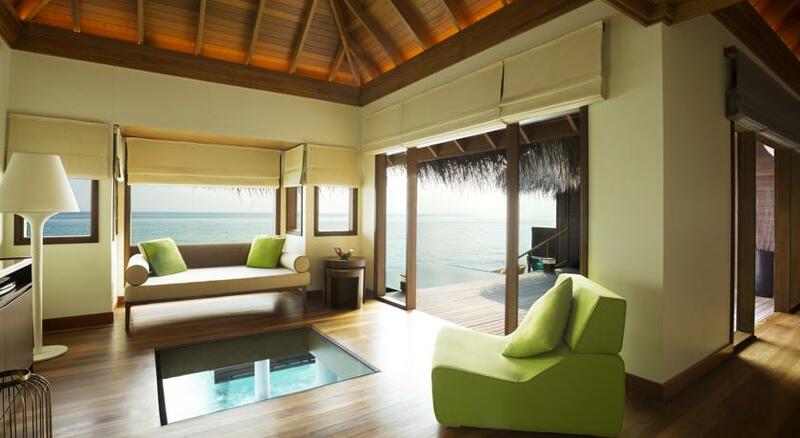 Body treatments are offered in underwater treatment rooms at the Lime Spa. 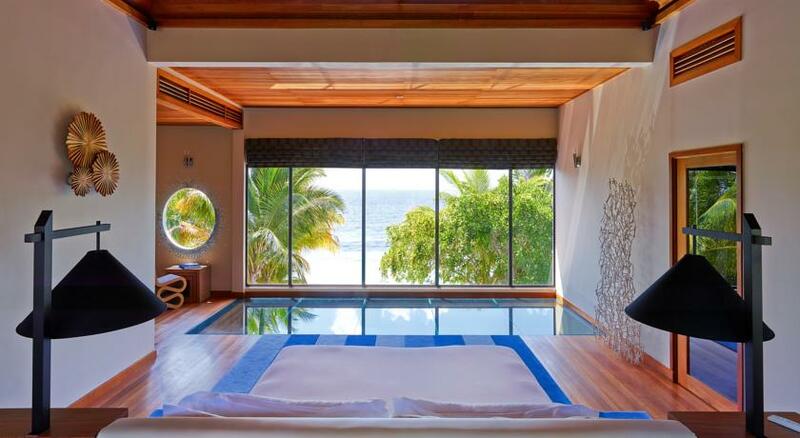 Guests can swim in the resort’s infinity pool and practice yoga at their yoga pavilion. 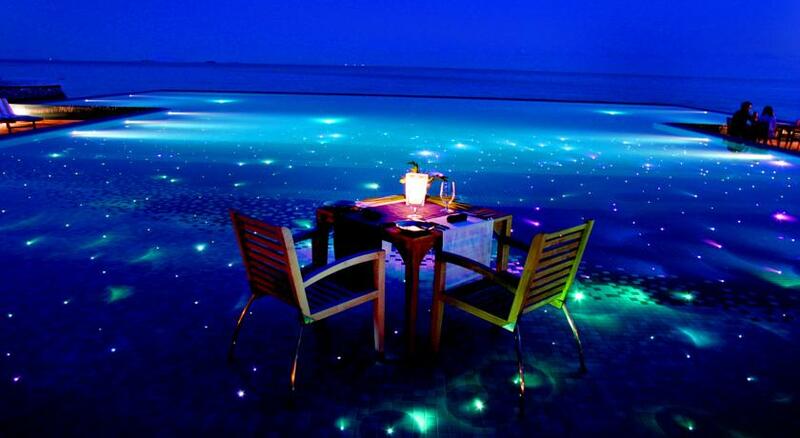 Night fishing is also available. 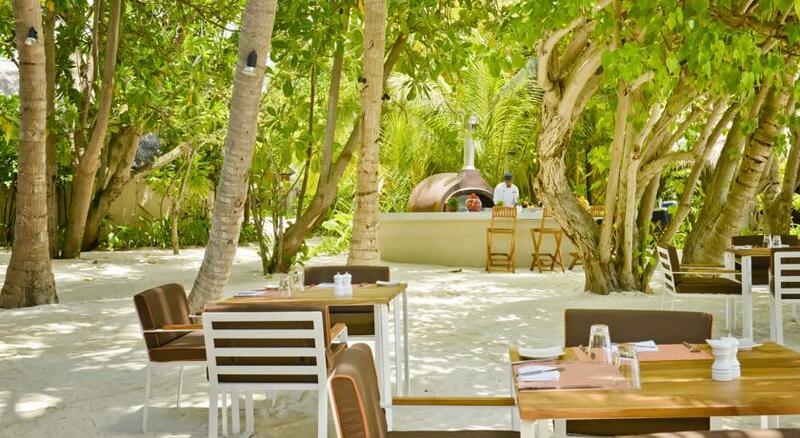 Salt is a restaurant over the water and features an open kitchen and fresh seafood dishes. 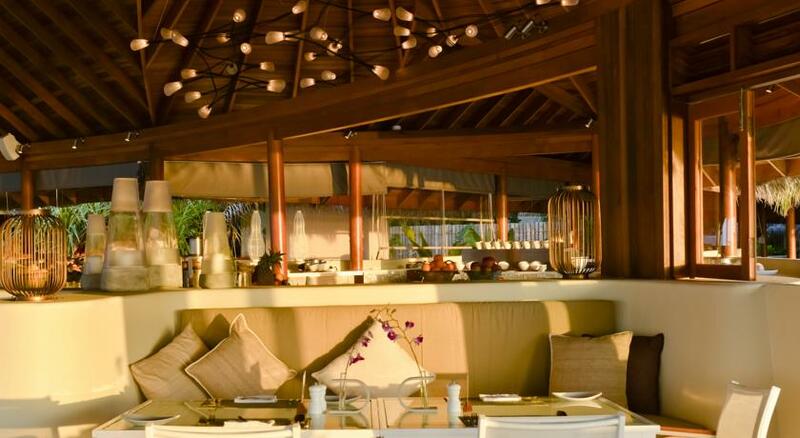 A wide selection of wines is offered at Vinum. 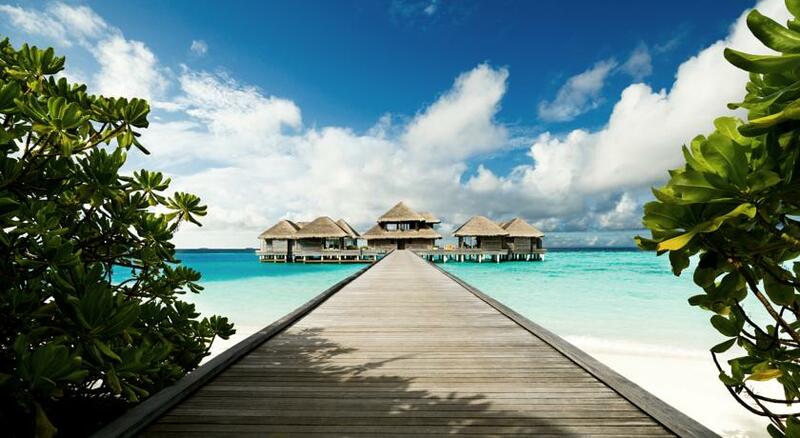 Huvafen Fushi is a 30-minute speedboat ride from Male International Airport. 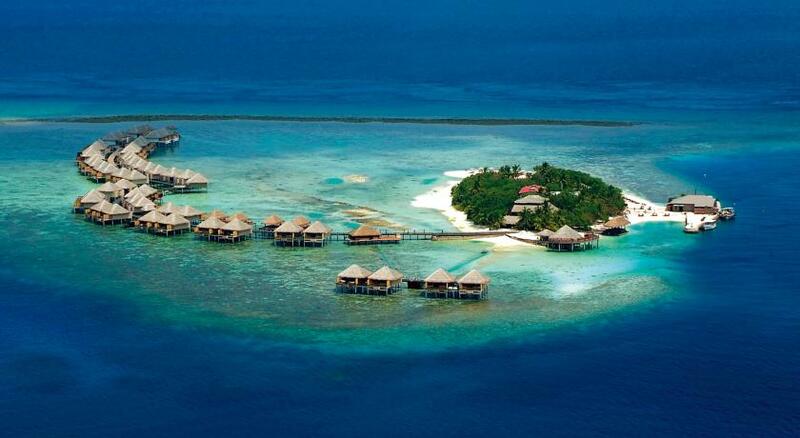 An alternative seaplane journey takes 15 minutes.